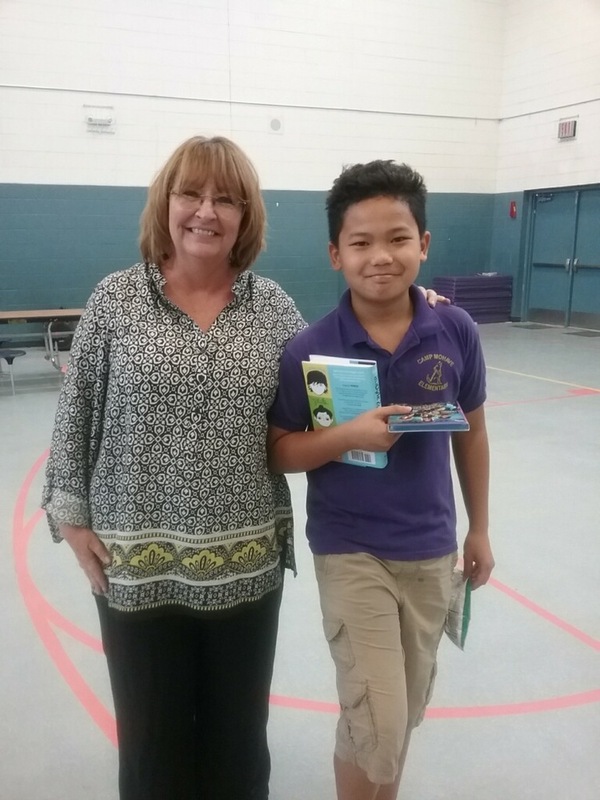 Deborah Laurent, local author, taught a creative writing class to Camp Mohave 5th grade students. She gave the students a writing prompt of --If kids ruled the world... Mrs. Laurent gave prizes to the writers. The winning writer was Angelo Calaunan. His story will be printed in Mrs. Laurent's next novel titled Bookmarks which will be published later this year. Congratulations to Angelo.